The season starts next week… is anyone else pumped to see these 3 on the court together? I produced this photoshop composite from images photographed at the recent Kraziness in the Kennel. Lens- Canon EF 70-200mm f/2.8L IS II USM Lens. Battle 4 Atlantis— Zags for Breakfast! Gonzaga Bulldogs vs. Pittsburgh Panthers- 11/13/15 Marine Corps Base Smedley D. Butler in Okinawa, Japan It’s the first meeting of two teams that made the third round of last years NCAA Championship. It’s Game Day… Eastern Oregon Mountaineers coming to the Kennel! 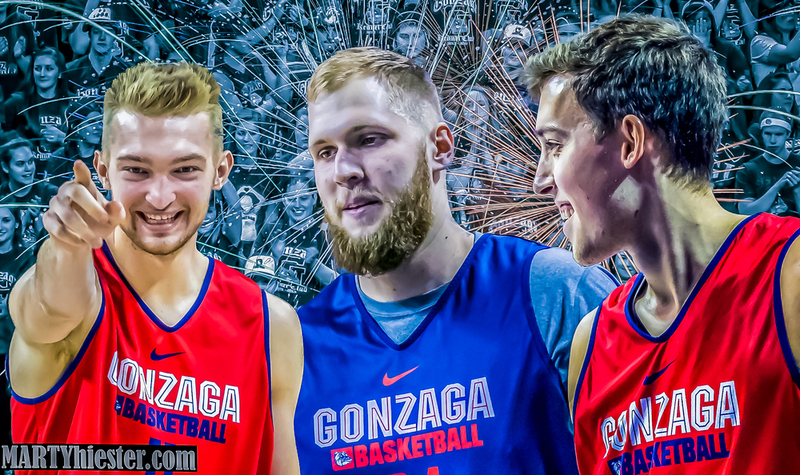 The 2015 Gonzaga Basketball Front Court?